Sorry Dave, I keep forgetting. I have got centuries of gathering behind me, and it didn't occur to me that you wouldn't have the correct sized spring in stock. Shame you don't live a bit closer. Before you well and truly get the wee wee extracted by all the leg pullers.....you can make a spring on your lathe. Take a length of round bar slightly smaller than the bolt diameter (the spring will spring open slightly larger than the bar) Chuck it up in the lathe and at the same time trap some wire between the jaws. Turn the chuck by hand, you can do it under slow power but take care, and wind the wire around the bar. Spring steel is prob best, but I find SS welding wire works OK if you have any? Spring steel will serve you better as SS welding wire can make a bit of a weak spring in my exp. If you can only find SS wire go for the thickest dia you can get hold of. If you don't mind posting a couple of foot that would be great, how do you want payment, drop me a pm perhaps. Payment....don't be silly....just PM me your add. 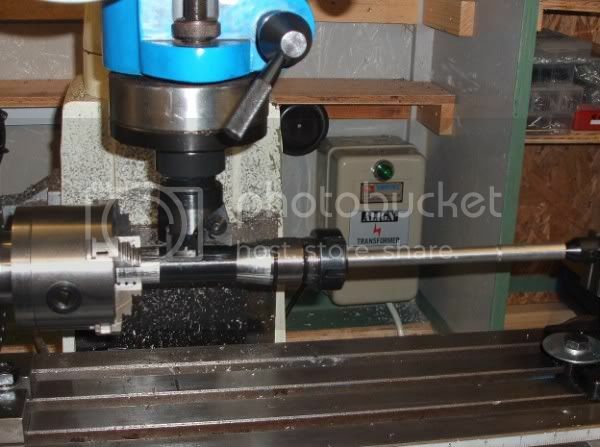 "Keep one hand on the tool, loosen the adjustment hex nut, then completely unthread the drawbar"
Both my mills have no spindle lock, I just use a large spanner to hold the collet. A lock would be nicer though. 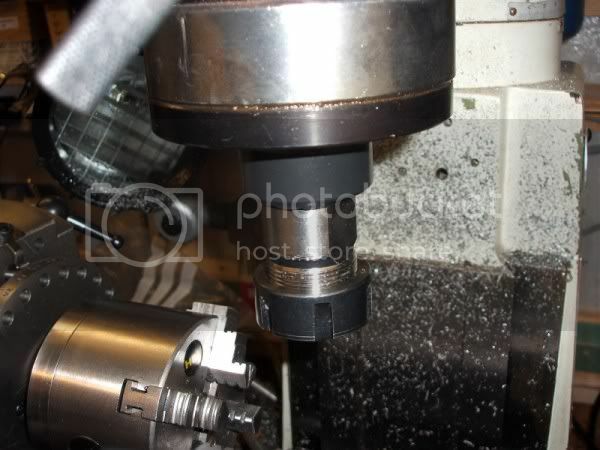 Yup, the two flats on the collet chuck to hold it whist you wrench the collet nut off, gottaanglegrinder ? Why for all the trouble milling flats? Just drill a couple of say 1/4" holes in the side, and then make a peg spanner. Then just to get you out of the crap for the moment, you can use a tommy bar for tightening up, while you make your peg spanner out a bit of hotted up bent bar and a piece of 1/4" silver steel, or whatever size you drilled your holes.